I’m taking the second Explore Florals by Victoria Johnson and loving it as much as the first class. I This week’s inspiration was folk-art. 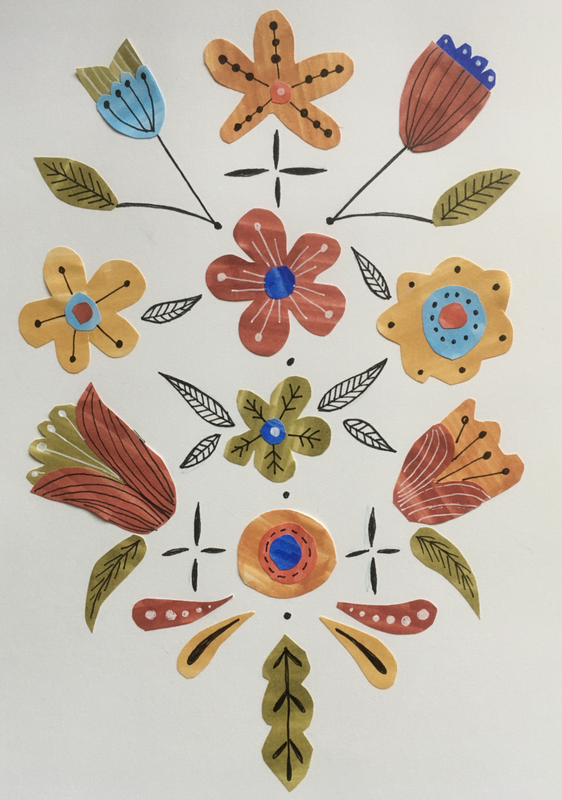 I explored the theme with gouache, collage, vector and ink floral patterns.